The following page will serve as a portal for SWW’s AP biology class 2011-2012. 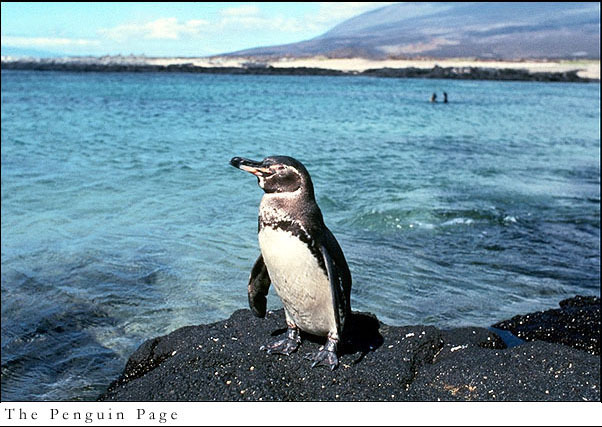 A Galapagos penguin surveys its environs. Image courtesy of the Penguin Page. Date of the test: May 14, 2012, 8 am. Here is the Amazon page for Survival of the Sickest. Unit plans for each unit, including lecture notes, reading guides, videos and activity and field trip guides, can be found on the side bar. These will be updated to reflect what we actually do in class. Thanks to xkcd, Kim Foglia, Mrs. Hodge, Mrs. Drisaldi, and Kristen Kohli for references on the summer assignment, syllabus, tips on blogging and PowerPoint. The cell energetics tutorial is what exactly is it something like the mastering biology assignment or the Chapter 6 self- tutorial assignment.